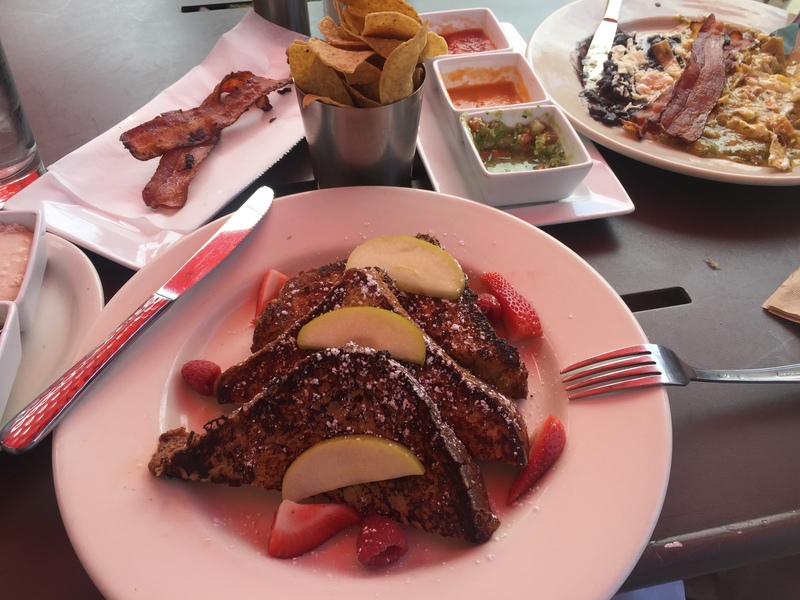 The Beau and I brunched at Mesero on Sunday. We took the pups, which was a riot – because getting to the patio (with a blocked entrance…fire hazards be damned) was challenging. Our original plan was to eat at a pet-friendly restaurant (which is a short list in Dallas proper). Now, I’d eaten at Mesero before and was not super thrilled to go back. However, we were now trapped by cars on all sides and there was no end in sight to get our Jeep back from the valet…so off we went toward the bright umbrellas (seriously, they’re ORANGE). The seating hostess was nice, but when we got to our table, the group nearest us leaned over to say the service was sub-par. One patron went so far as to point out which waiter to avoid! They portion control the tortilla chips. Which is completely NOT okay. I’m a firm believer in spreading the chips and salsa love; if you see two people at a table, and you serve chips in a tiny 10oz container that can only fit 14 crisps (yes, I counted them) – then, by the sweet Gods in heaven, bring more chips! The plates look great, but that does not necessarily mean they’re good. My french toast wasn’t cooked. It was a burned glaze on the outside and a mushy cinnamon-flavored mess on the inside. Normally I don’t send food back, but the Beau insisted because they were completely inedible. They did a better job on the second try, but it was still undercooked. 🙁 One redeeming quality is the whipped cinnamon butter that comes with the warmed maple syrup to drizzle over the toast. Absolutely sinful. And yet – tragically – not enough of a reason to come back to this pop stand. Their chilaquiles (eggs + chicken + salsa + corn chips) were fantastic. Honestly, their salsa verde brings all the ingredients together in a magical concoction. I’d certainly order that dish again. But I probably will not be back here. Two times, you’re out. Their dinner is pricey and you don’t really get much. Basically, if I can make it in my own kitchen – then why bother going to the restaurant? In a crazy twist – the cocktails are pricey! Nearly every drink cost more than an actual brunch dish. What in the actual hell? Just know, if you do order one (we ordered the Meserita) then you’ll be plastered on just one drink. Fair warning. Overall, we were not too pleased with this brunch spot. I felt like I could seriously teach the Chef a thing or two about Mexican cooking (or whatever they think they’re actually making…). We will not likely be back, barring some sort of kitchen-staff overhaul and a change in menu options. 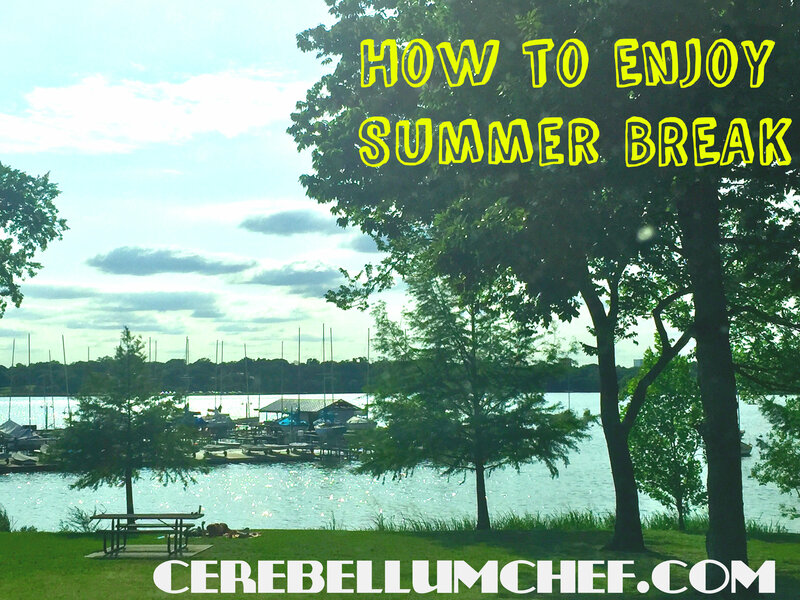 I hope you’re enjoying your summer break!